Twelve compelling stories of young girls in conflict with their Arabic culture and the world around them. As religions clash, the mysterious suicide of a promising high school student leads to a young girl’s understanding of vengeance and redemption. A Syrian child farmed out to another family during the Great Depression brings humorous clarity to poverty and the will to survive. In a postwar coal town, a mischievous child discovers the secret life and dignity of a wandering violinist whose existence depends on begging. A daughter’s memories and a diary expose what is true and not true about her father. Out of a young woman’s peripheral vision pops an Arabic grandfather she hated, a ghost from the past that, like it or not, she must now deal with. Together and separately the stories explore a complex range of universal themes and experiences common to many immigrant populations, especially those involving challenges faced by girls. 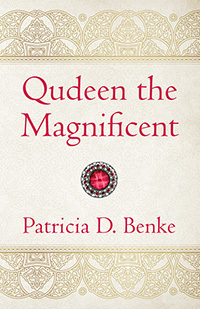 Whether set in Pennsylvania or California or on a train in between, the stories in Qudeen the Magnificent are probing and entertaining, a chorus of individual voices spanning the East and West coasts and the decades of the 20th century. Patricia D. Benke was born and spent her early childhood in the coal regions of Pennsylvania, where in the early 20th century both sets of her grandparents settled as Syrian immigrants. In the early 1950s she moved with her family to Southern California. In Qudeen the Magnificent, she draws upon her personal knowledge of those locales and the experiences of their immigrant populations. 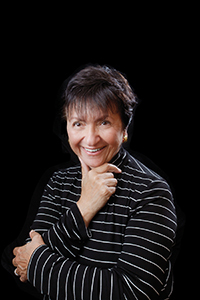 Patricia D. Benke currently lives in Southern California, where she serves as an appellate judge. She is the author of the acclaimed Judith Thornton series.